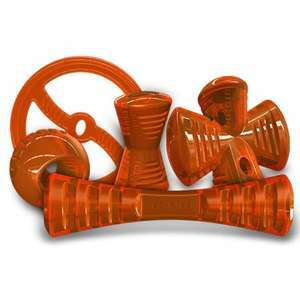 Bionic Dog Toys are made with strong, durable Bionic Rubber perfect for enthusiastic dogs who like to play and chew. Bionic Rubber is a revolutionary material that can withstand the aggressive play patterns of most pets. Bionic products have been tested in rescue shelters and day cares around the U.S. for years. By making and destroying countless samples, it was found Bionic Rubber could hold up to the most aggressive chewers. Available in several shapes and sizes to suit your dogs size and playing style. Highly Visible – the orange colour is designed to easily be seen by dogs (and you) for easy retrieving. 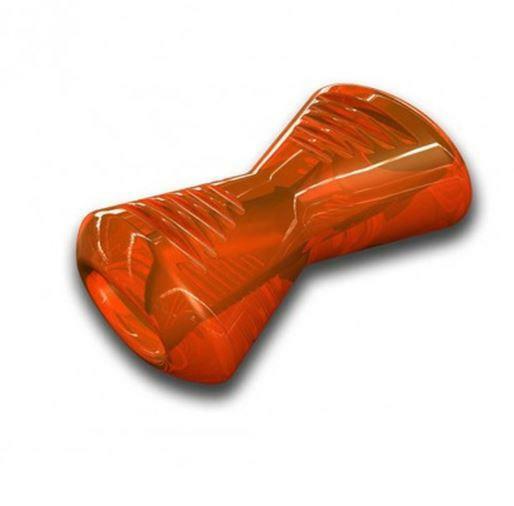 The Bionic Rubber Urban Stick has been carefully designed to ensure it fits naturally in the curvature of the caninemouth. The ridges across the top give your dog the feeling that they are chewing through the toy – keeping them interested in it for months! Its unique interior shape provides strength for even the most aggressive chewers. The opening on the Bionic Urban Stick is designed to be the perfect place to put treats and peanut butter. 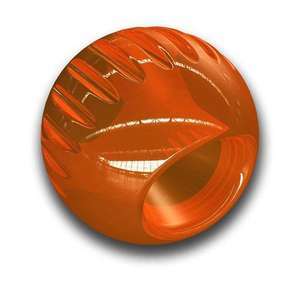 Throw the Bionic Rubber Ball against the spine and it bounces normally. When your dog thinks he knows where it’s going to bounce, throw it against the opening to create an unpredictable bounce that’s hours of fun! Bionic’s designers took years perfecting this bone. Careful attention was made to ensure it fits naturally in the curvature of the canine mouth. The ridges across the top give your dog the feeling that they are chewing through the toy – keeping them interested in it for months! Its unique interior shape provides strength for even the most aggressivechewers. The opening on the Bionic Rubber Bone is designed to be the perfect place to put treats, dog bones and peanut butter. The Bionic Rubber Toss-N-Tug’s centre has been designed to provide strength to the overall design, while offering dogs several options on where to pick up the toy to bring it back to you. Can be used as a flyer or turned inwards to create a tug toy. Simply toss the toy into the water and your dog can easily chase after it as it floats on the surface. 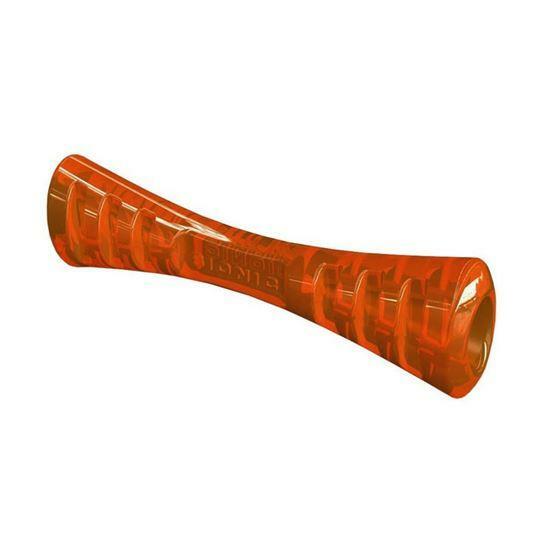 While highly durable, the Bionic Toss-N-Tug is not intended to be used as a chew toy.